Michael Sean McQuade pleaded guilty to felony murder and robbery and was testifying Wednesday at the trial of co-defendant Aubrey Armstrong. 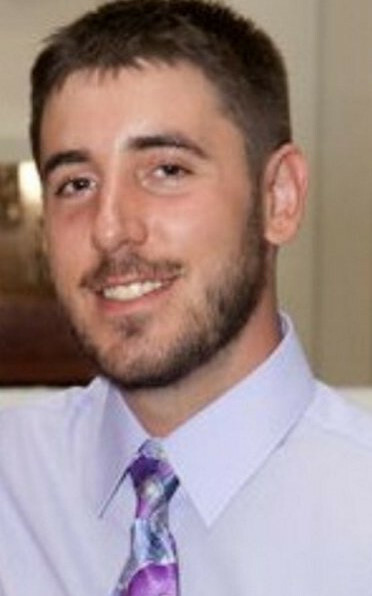 AUGUSTA — Joseph Marceau, the 31-year-old found bludgeoned to death in a fourth-floor apartment strewn with clothes, trash and broken furniture, asked whether he was going to be robbed. Michael Sean McQuade, who knew him through the drug trade and was aware of the robbery plan, lied and told him no. Less than an hour later, Marceau was standing with his back to an entry door with two men facing him when a milk bottle “came smashing down across Joe’s head,” McQuade testified. “I yelled, ‘What the (expletive) are you guys doing?’ He was trying to fight back; he was putting up a good fight too,” McQuade said. 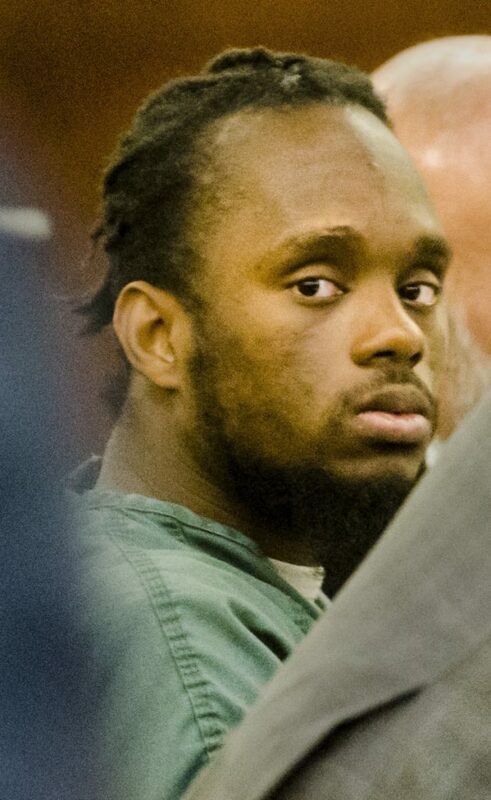 McQuade’s graphic testimony Wednesday afternoon came on the second day of the murder trial of Aubrey N. Armstrong, 29, of Far Rockaway, Queens, New York. McQuade previously pleaded guilty to felony murder and robbery in connection with Marceau’s Nov. 23, 2015, death in McQuade’s former apartment. Part of the plea agreement McQuade signed says he will be sentenced to 10 to 15 years in prison followed by another 10 to 15 years on probation. However, he had to agree to testify truthfully at the trial of any co-defendant. On Wednesday, he sat in the witness stand at the nonjury trial at the Capital Judicial Center and swore to tell the truth. McQuade said that while he knew about the robbery plan, he didn’t know Marceau would be beaten to death. His preference was theft. He would steal items to trade for drugs, as he did earlier that day when he and his girlfriend, Zina Fritze, stole a phone from Walmart in Augusta. He said Armstrong and Damik “Doughboy” Davis, also of New York, plotted to rob Marceau of 5 grams of heroin he had been trying to market for several days. “They just asked if they could use our house,” McQuade said. McQuade and Fritz accompanied Marceau and the others to 75 Washington St., Apartment 8, in Augusta, the home from which McQuade and Fritze recently had been evicted. He left Marceau standing with his back to the entry door and Armstrong and Davis facing him. As McQuade responded to questions from Assistant Attorney General Johnathan Nathans about how Marceau was attacked, relatives of Marceau who were seated in the courtroom cried, hugged each other and wiped their eyes with tissues. McQuade said he saw Armstrong striking Marceau with a property or grade stake that was in the living room, and that the last thing McQuade saw was Marceau hog-tied as he was being dragged into a bedroom by Armstrong. He said Marceau was continuing to yell. McQuade said he tried to get Fritze to flee with him and to convince Davis that the police would be on their way since there were a number of occupied apartments in the building. Davis answered the door when police arrived, and the other three fled out the fire escape door. Davis, who also pleaded guilty to felony murder and robbery and received the same deal as McQuade, was arrested that night. The others fled to the nearby home of Karen Lea, where they hid for a couple of days. McQuade testified that he lied to investigators at an initial interview because of threats against his son and his parents, but he told the truth later because he felt bad about what happened to Marceau. “He was a kid; he didn’t deserve what happened,” McQuade said. 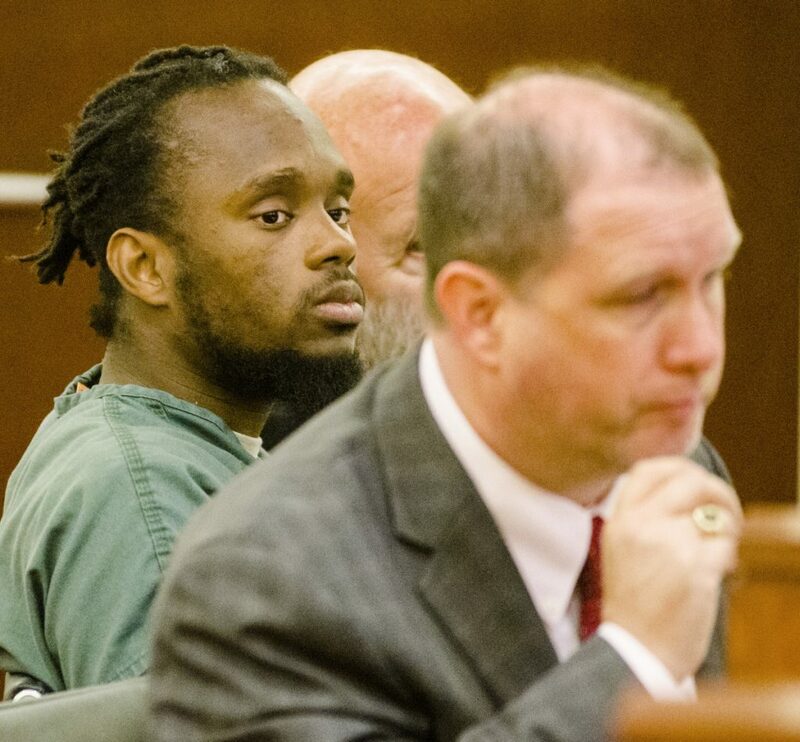 The state’s chief medical examiner, Dr. Mark Flomenbaum, testified Wednesday that the fatal injuries to Marceau all occurred at the neck and above. Flomenbaum described a broken cheekbone, a broken nose and a broken bone in the neck. He also described four separate long injuries — one across the face, two across the abdomen and one across the left buttock — caused by an object with sharp edges that were precisely 1 inch apart. The second morning of Armstrong’s murder trial featured a recitation of who’s who in the central Maine illicit drug trade. The names were part of the testimony by Lea, formerly of Augusta, who was given immunity by the state for any charges in connection with the homicide of Joseph Marceau and her own involvement in the drug trade. The prosecution maintains that it was at Lea’s 37 Washington St. apartment that people conspired to rob Marceau and that Armstrong, now 29, bludgeoned him to death even after Marceau gave up his heroin in a fourth-floor apartment just down the street. She testified that she occasionally went with Armstrong to his home in Far Rockaway, New York, to pick up drugs for him to sell in Maine. Lea said she went with Armstrong to the Vassalboro home of Joseph Gagnon, also known as “Big Daddy,” about a week before Marceau’s death. She said Armstrong was told by “Stash” — identified in an earlier, separate court proceeding by Assistant Attorney General Katie Sibley as Richard J. Baker, of Bronx, New York — that Armstrong had messed up financially and owed Baker money. “Stash said that he was pulling a card and that as brothers, (Armstrong) would have to do three things in order to get back to where he was,” Lea testified. “He said he had to kill someone, rob someone and one other thing,” which she said she could not remember. Gagnon, 61, has pleaded guilty to drug trafficking and firearms-related charges and is scheduled for sentencing July 19, 2018, at the Capital Judicial Center. Baker is serving a six-year prison term for trafficking. Lea also talked about Marceau, saying he gave her a hug when he arrived at her apartment that day and when he left later. She said she had known him for years. “I loved Joey,” she said. Lea frequently referred to him in the present tense and said he was using drugs. She testified that she was sick from drugs and the flu on Nov. 23, 2015, and got angry that so many people were coming to her house that night. She said Marceau offered her and others “molly,” a synthetic drug also known as MDMA or ecstasy, and that she did not use it because she was trying to get clean. Lea testified she did not hear anyone plot to rob or harm Marceau. She said she woke up later that evening to the sound of sirens in the neighborhood and saw Fritze, McQuade, and Armstrong crawl through a window and into her home. She said Fritze was vomiting, McQuade looked bad and Armstrong looked blank. She said Armstrong’s sneakers and jeans had blood on them and that he immediately went into the bathroom of her home. Lea’s daughter Katrina Lea, 21 and living out of state now, also was granted immunity from the state in exchange for her testimony. On the witness stand on Wednesday, Katrina Lea said Armstrong told her that “Damik had thrown the chair” apparently at Marceau that night in the fourth-floor apartment at 75 Washington St. where Marceau was killed. Fritze hanged herself in jail in January 2016, a day after pleading not guilty to charges of murder, felony murder and robbery. On Wednesday afternoon, Amanda Ware, a witness called by the prosecution, was brought into the courtroom but removed almost immediately and no reason was given. Ware pleaded guilty in March to a federal charge of using/maintaining a drug-involved premises and aiding and abetting in connection with a central Maine drug conspiracy and is being held in the Hancock County jail pending sentencing.